I love getting more for less and thus I have discovered some foods that are delicious as well as good for your looks. I must admit that I really do not like to drink water. I know it is vital to keep you hydrated and to keep you functioning properly but I have never liked the bland taste of water. However, I have always liked the taste of water with lemon. One day, I decided to do some research to find out the benefits, if any, of water and lemon and it turns out that there are tons. 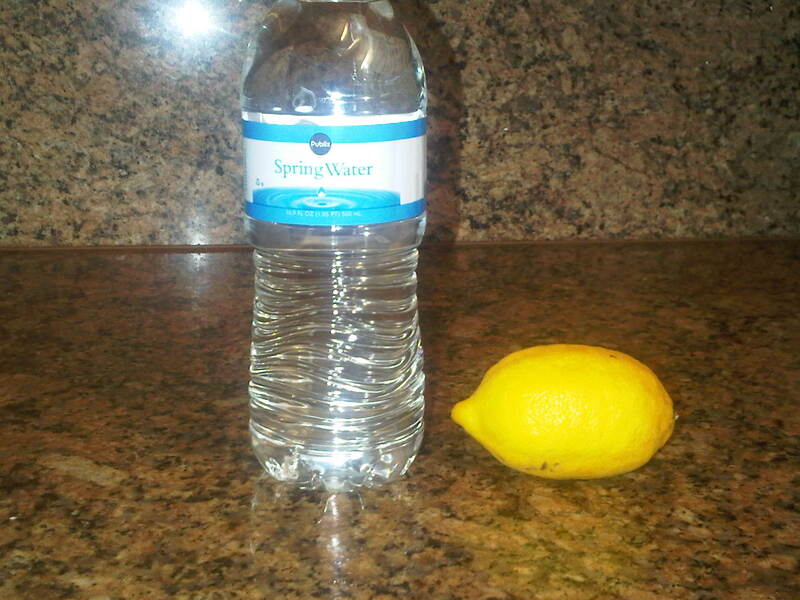 Making lemon water is fairly simple. You need water and a lemon, of course, and a container/glass/bottle etc. to put the water in. 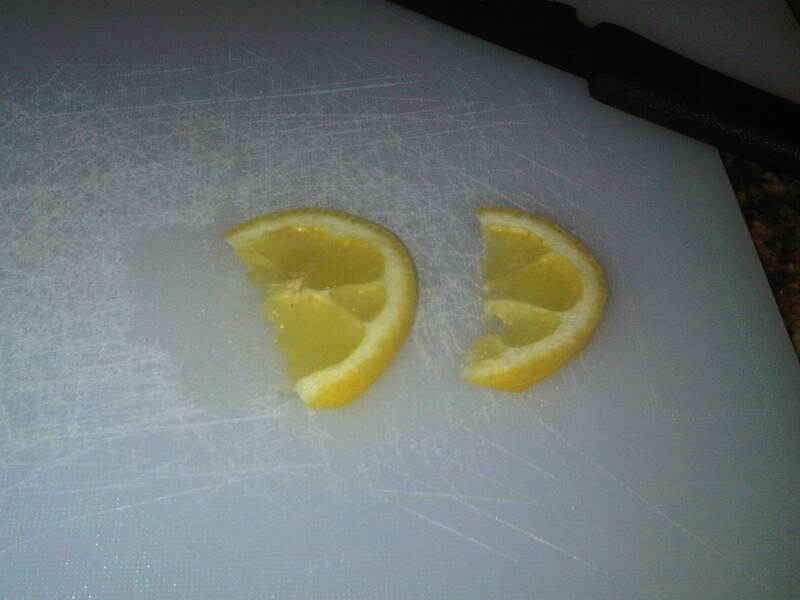 I find the lemon easier to squeeze when it is cut up into slices. How many slices depends on the width of the slice, how “lemony” you want the water to taste and the size of the container you are using. I use a water bottle so I cut up about 2-3 slices. 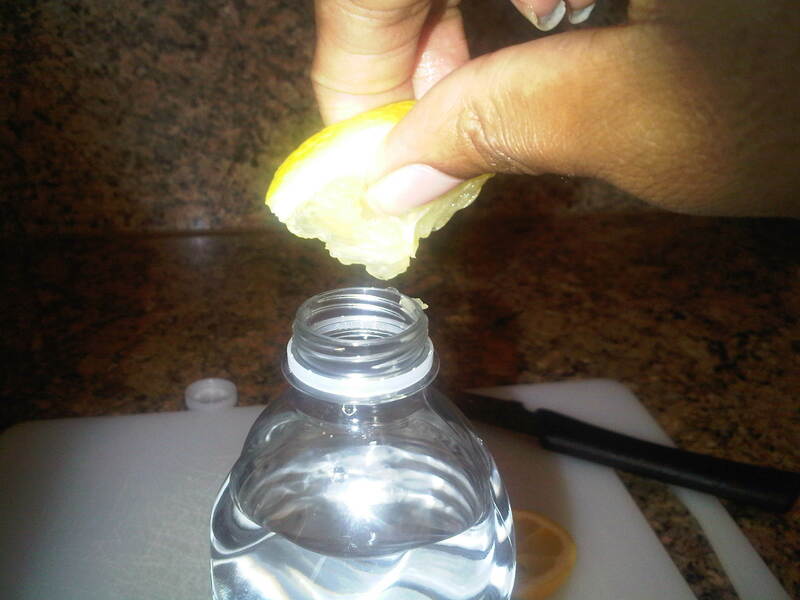 Then I squeeze the lemon juice into the bottle/glass/container etc. I taste the water as I go along until I have my desired taste and then voila; you have lemon water.